Dr. Carol Michael PhD says that, ideally, horses should eat 25 different plants per day. 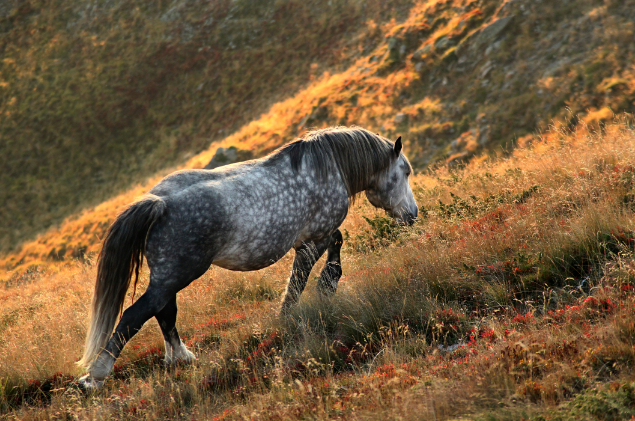 Keep in mind, that horses are not grazers (like cows or sheep), but rather, they are foragers. So how can we provide this kind of natural plant and herb variety for our domestic horses? 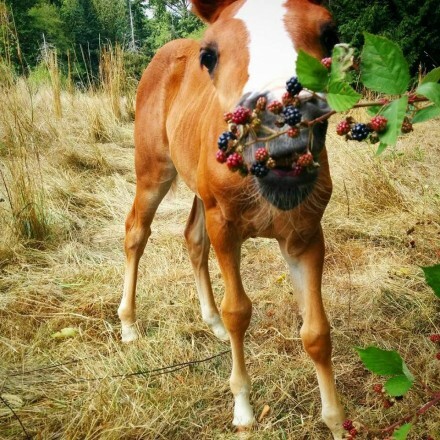 Some people set aside a ‘doctor garden’ enclosure in their equine permaculture system to provide this variety, and allow their horses in there for a half hour a day to forage and self-medicate as they wish. Others plant various herbs around their fields. Honeyvale Herbs in South Africa has a great handout on how to organize your field and which herbs, plants, and bushes to plant where. Along with a good selection of plants to offer your horses. You can download it here. A good resource for which plants to avoid and which herbs are toxic for horses is found here. 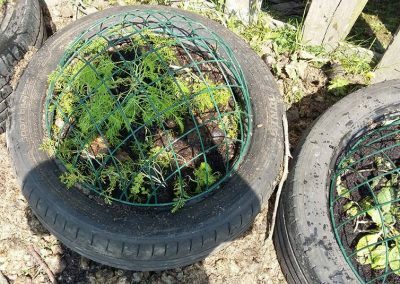 Another great way to offer free-choice, fresh herbs to your horses is to plant them in old tires with upturned hanging baskets over top. The basket protects the plant so the horses cannot decimate it; but they can nibble off leaves as the plant gets big enough to poke through the mesh of the basket. You simply fill an old tire with soil and plant your seeds. 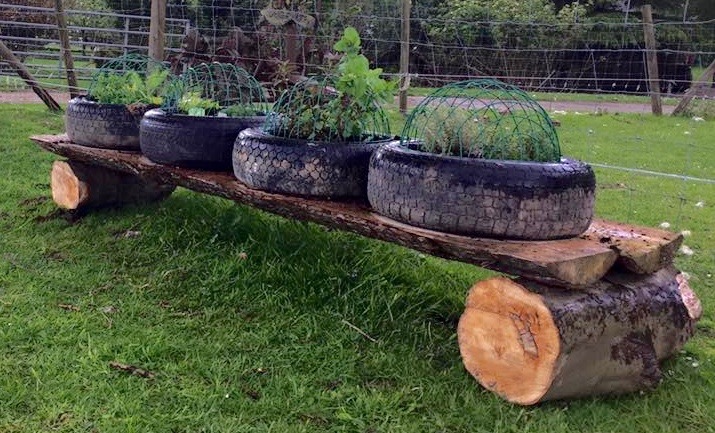 Drill holes in the tire and then secure the upturned hanging basket to the tire with cable ties. If you can’t find baskets that are a similar size to the old tires that you have, or vice-versa – just substitute wooden or plastic planter boxes from Home Depot or plant stores. Or try to find some plastic or wire mesh baskets from gardening centers, or closet organizers, or kitchenware stores. Having neither a doctor garden, nor portable herb feeders, I first tried giving my horses a variety of cut, fresh herbs to choose from – that horse herbalists have recommended – but they ate little to none of them! What has worked for my herd is to give them dried herbs sprinkled on their feed, or offered singly. I sometimes buy the Respiration, De-Tox and Stop Itch blends from Wendals – and I don’t necessarily use them for the purpose their name suggests! For example, the Stop Itch is actually an excellent immune booster blend. My horses would also eat these right out of the tub if I let them (yes, I’ve tested this! Except for the Stop Itch blend, which they like the least, but they will still eat grudgingly). I tested each of them singly first to see whether my horses would eat them and then I mix them together (in varying proportions according to the herb) in a large tub. I give 1/2 cup – 1 cup per feed, as needed. All 4 of my equines love to eat their herbs this way. *The astragalus powder I dose separately – at 1 tbsp. per feed – only when needed, as it is a powerful immune booster than can induce a fever. The dulse I mix in with the kelp powder (or SeaBoost seaweed) and sprinkle 1 tbsp. over their feed. I particularly like the dulse flakes as they have the most varied mineral mix of all the seaweeds. So these dried herbs are my solution to currently not having a doctor garden, or naturally growing herbs for my horses to forage for themselves. When I get my own land, I will definitely plant a good mixture of herbs and plants that horses would naturally forage for in this climate. Mountain Rose Herbs also sells a good selection of organic medicinal seeds. In fact, you know what? Right now, this moment here, I’m changing my mind! I’m moving my herd to a new pasture in a couple of weeks and I should be able to keep them there for at least a year. So. I’m going to plant some forage herbs for the horses this Spring and see how that works; what they eat, or don’t eat, what they prefer, etc. Self-heal (also called Prunella) – it’s quite bitter so only feed the leaves when first introducing. Cleavers (goose grass) – again cut into small pieces when first introducing. Plants that grow near water are sweeter than plants near rocks or dry areas, so start with those first when introducing a horse to forage. One interesting point to mention is that I have seen a big difference in the variety of plants and trees my semi-feral horses will eat versus my domestic horses. My wildies are also more likely to try plants or leaves, and spit them out if they don’t like them, whereas the domestic horses won’t even take a bite. Having said that, a friend of mine noticed that when she moved her domestic horses to a wild, unmanaged chunk of land, her horses gradually became bolder and consumed a larger variety of plants as the months went on – even thistles! So it’s very encouraging to know that horses can re-wild themselves when given the chance. Dr. Michael noticed the same thing with domestic horses in the UK when they were turned out into larger, wilder fields and given the chance to forage. As it is far cheaper to purchase seeds, plant them, and let your horses forage and self-medicate, this is definitely a good route to go and don’t worry whether your horses don’t eat much for the first few months. Just give them time and they will gradually begin to try and eat a wider variety of plants. Some great ideas, here. You left out a number of plants that I know horses in the UK choose to eat regularly, including: hawthorn, yarrow, dandelion and wild rose. Allowing horses to self-select is always best. I. too, go the “dried herbs in feed by intuition” route, because I know my horses pretty well. 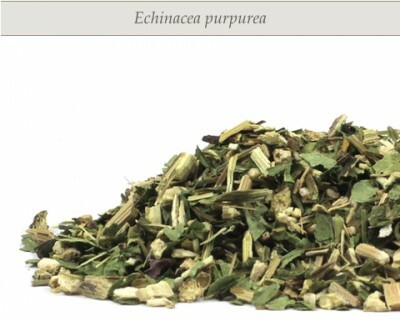 However, allowing them to self-select single, unblended, herbs is still the best way, I believe, and within reason, allowing them to determine the amount they want to consume, and for how many days, is also helpful, particularly if you are offering herbs in an effort to sort out an illness/imbalance. A horse may eat a surprisingly large (or small) amount of something for only one or two days, and then they are done, whereas we humans tend to go for the “little and often” approach. Another thing to consider is that horses can kill off some of the plants that are best for them in their pasture. Even more of a problem if they are newly planted. Planting horse-friendly native plants in places where they can only nibble at them over or under a fence can help. 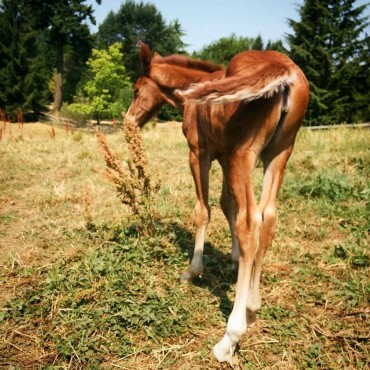 If you are really interested in how horses self-select plants for health, you should have a look at the work of Caroline Ingraham (if you haven’t already). Her little book “Aromatherapy for Horses” is inexpensive, and discusses self-selection of essential oils, but can also be applied to herbs. Her “How Animals Heal Themselves” is more comprehensive. Thank you so much for the book suggestions Kris – “How Animals Heal Themselves” is going to go into my next Amazon order! I just purchased “The Complete Herbal Handbook for Farm and Stable” by Juliette Bairacli Levy after hearing some good things about it. I’ll post a review after I’ve gone through it – but it looks good from my first flip-through. I also like your idea of planting the ones they love in harder to reach places – very good suggestion, so they can still eat them, but not decimate the plants. And yes, I totally agree with your summary of why self-selection is best. Absolutely. Another excellent book is Herbal Housekeeping by Robert McDowell. Totally agree with Kris, self-selection is best and in the long run most economical, if your horses don’t have access to wild stuff. In my experience there are no herbs that horses always want when given the choice, so no point feeding them. And the level of self-regulation is phenomenal. Caroline Ingraham’s book is great, and the science behind that is a book called Wild Health by Cindy Engel. Highly recommended. Nayana’s comment just appeared in my email, and I want to add a few more thoughts. Even putting self selection to one side, for a moment, it is important to know more about the herbs you feed than just that “horses eat these in habitats where they are available”. It is rare, for example, for most non-grasses to be available in all seasons, and horses tend to choose most herbs seasonally. That may be due to something as simple as there being more sugar available (rose hips in early winter) to possibly serving a seasonal need (hawthorn regulating digital circulation in spring, when grass laminitis is most common) or simply because the herb is green when little else is. So it is important to know when and possibly why horses eat what they do, but even more to understand the importance of not feeding (or taking) any herb all the time. The potential for liver and kidney damage, among other things, becomes a question. Self selection usually regulates this, but there are times when I do rein in my desire to treat some condition, or tell the pony who wants to eat licorice root by the half-pound on a daily basis, that we need to re-think this! If there is an ongoing condition of some kind, then rotating treatments is so important. When I delve deeper into discussions like this, I find myself running back to the safety of “homeopathic level” herb dosing! I figure, if I give 1/2 cup only 2-3x/week then I’m unlikely to do any damage. But if the horse needs that herb, then their body can use it in a resonance/vibrational way. And of course, the ideal is to plant a “doctor garden” and let them self-select, rather than taking additional training and educating myself sufficiently to dispense reliably! Brambles (leaves and fruit), goose grass, apples (leaves and fruit straight off the tree), hawthorn (usually leaves and occasionally fruit), nettles, thistle flowers, ash tree leaves, elder leaves (never the fruit). We have had to fence off the maple trees because if we don’t they strip the bark. Young nettle plants do not have the stinging effect as mature plants – my horse will eat young plants. I LOVE stinging nettles. I crush it up raw and use it as tea. mix with raspberry, (fruit) canadian thistle blooms. Sweet, fruity, helps with allergies, and congestion. I once had a pony that was eating fresh, fully grown “big” nettles by the numbers when there was little grass left. He would pick the at the base munch them stem first, one after another. If you stroke a nettle from bottom to top they don’t sting. He seemed to know that. Hello all – just updated this post with a whole new list of herbs that are safe for horses, along with a PDF download from Honeyvale Herbs – which is a great guide to planting/organizing your own horse herb garden. Enjoy! Living in the Southwest desert there really is no “pasture” and fresh herbs can be difficult,to grow. I do provide the best quality Bermuda hay available (low sugar/starch, moderate protein), Timothy pellets from the Midwest for variety and like adding dried herbs from Mountain Rose. And my ponies do browse! – on mesquite catkins in the spring, mesquite beans and prickly pear cactus fruit in the summer and prickly pear cactus pads year round. In rainy season they discover tufts of native grasses. A local rancher has a herd of “movie” horses – you’ve likely seen them on TV – who spend their non-working time running loose on a few hundred acres of mainly scrub desert with a little supplemental hay and salt and a fresh water supply. They are some of the healthiest horses I’ve ever seen and what convinced me that the best supplement we can give our horses,is freedom and space. My horses get a multi vitamin in their grain and there’s a vitamin mineral in the hay.. If giving herbs is that going to give them to many vitamin and minerals ? Well, when you consider that horses in a natural environment consume at least 25 different plants each day – I can’t see how giving more plant variety (fresh or dried) is going to do any harm. Remember, you can always offer them singly and let the horse choose how much they want. Can horses eat the herb called Rocket? If your horse is out in nature with either enough pasture to forage a variety of food items, or, you take your horse out for walks where s/he can forage freely, then your horse will likely have it’s own wisdom for what is okay to eat and in what quantity, and at what stage of plant growth. So then you could offer the rocket (or any new plant) on it’s own – just put some on the ground – and see what happens. BUT if your horse is confined to a stable, paddock, or just flat grass turnout, then they are pretty cut off from their own body wisdom, so best to be more careful. Hope that helps! Thanks for your blog and all those that have contributed. Can you please comment of orange segments being consumed. My horse love mandarins and oranges. I gave him approx 4 segments from a whole orange the other day. We have shared 1/2 a mandarin each.